Imagine spending your days working in the beautiful UNESCO World Heritage Site of the Lake District, the Scottish borders, the Yorkshire Dales National Park and the Eden Valley…. You now have this opportunity! The Card Connection territory that covers this spectacular region is for sale. You will be buying a very professionally run area managed by a lovely couple who are approaching retirement. The new franchisees will deliver and merchandise Card Connection’s extensive range of quality greeting cards and accessories to over 100 established retail customers in the region. Card Connection franchisees supply greetings cards and accessories to retail outlets on a ‘consignment’ basis. This is one step beyond ‘sale or return’ as retail customers don’t have to buy the stock initially; they only pay for what they sell. This proven, award winning business model has enabled hundreds of franchisees to run successful businesses over the past two decades. 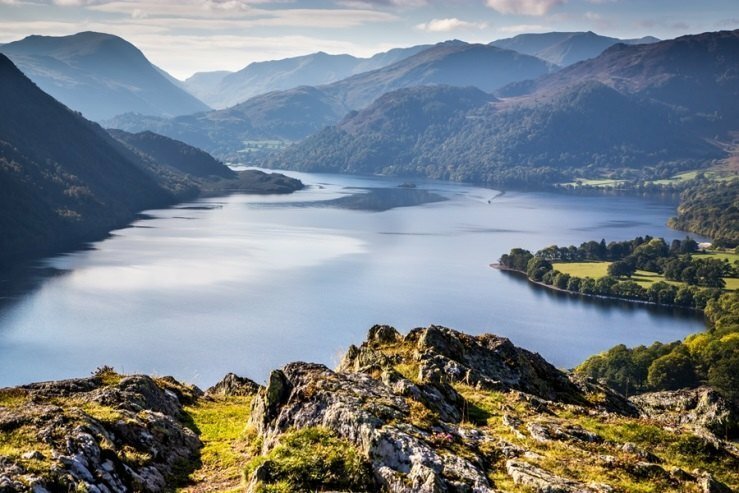 Discover, Explore & Inspire in an area which is by far the UK’s most popular national park. Every year, some 15 million people visit, tourism brings great benefits to the area with visitors spending money on accommodation, food, drink and even greeting cards. The territory has a varied profile of customers and is a great opportunity for the right franchisees to operate and develop. The franchise would suit a hard-working individual or couple who are looking for the flexibility and benefits of self-employment, who live ideally in the territory. All you need is a good sized garage (or equivalent) for stock, a van, mobile phone, iPad and plenty of enthusiasm. Card Connection will supply all the training necessary plus a detailed hand-over and introduction to the retail client base which will ensure the new franchisee gets off to a great start. The territory currently has a turnover of £66k and requires an investment totalling c£48k, which includes Goodwill, Stock, Display, Legal fees & Training. Enjoy the flexibility of being your own bosses, based at home, but with the knowledge, support and dedication of an established and highly successful organisation behind you. Goodwill, stock and display equipment is included in the purchase price and Card Connection is recognised by all the major banks franchising departments, and therefore funding is available subject to status. As we only have established territories for sale which means you will from day one have active accounts which will provide you with an income.